Good news! The Supreme Court upholds free speech rights. 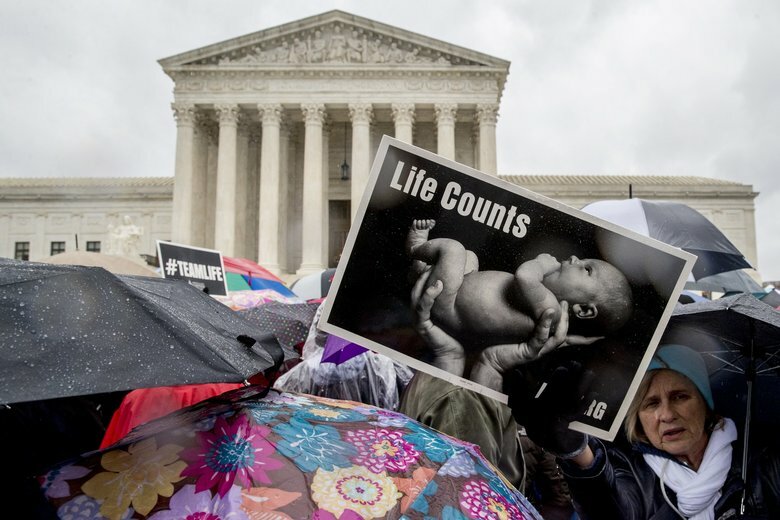 In a 5-4 vote on June 26, the Supreme Court ruled in favor of pro-life crisis pregnancy centers, arguing that a California law passed in 2015, which requires anti-abortion pregnancy centers to inform clients about free or low-cost abortion services, is probably a violation of free speech. Go to https://t.co/5K9sGSYSLX to sign up for more breaking news and analysis on this critical case. Note these 5-4 decisions. We have to replace the superannuated conservative justices with younger ones while praying one of the liberals goes off to his/her eternal reward while Trump’s in office. 5 to for is OK but 6 to 3 would be even more betterer. That would be a worthy pipe dream but first we’d need a biblical plague to wipe out a plurality of the liberals. Thats what my husband says. Natural selection. If they cant care for themselves and DONT care for babies we are under no obligation to them. Father Z, a blogger I read sometimes, calls it the biological solution. He’s actually talking about the older post Vatican II priests who are so opposed to traditionalism in the Church, and are the super dopey liberal Catholics who enable Pelosi and her ilk, but it works for Supreme Court justices too. Thank God the Supreme Court stands up for the rights He has given us.